I really like thread ball lamps. They look amazing, cost little to make and would fit perfectly in my interior. So for my new home I decided to make one. I found a tutorial over at Pickles but I wanted my tread ball lamp to be perfectly round. 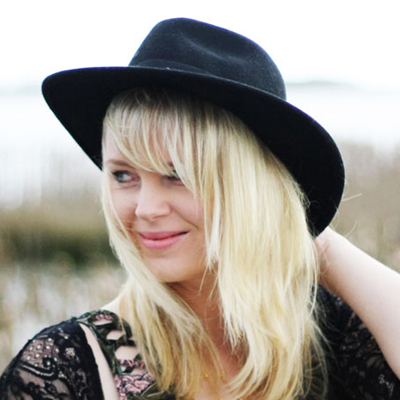 This tutorial shows you exactly how to create a perfectly round thread ball lamp. 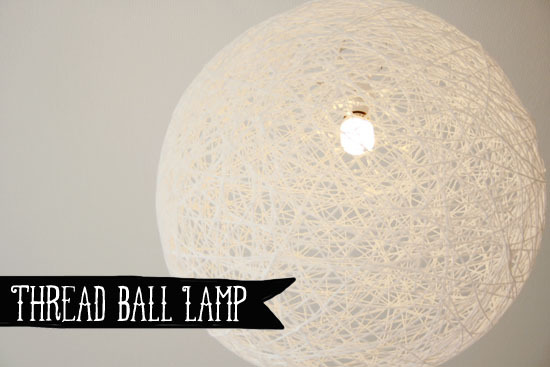 See how to make this thread ball lamp, including pictures, after the jump. . .
1. Wrap your yoga ball in household wrap plastic. This way your thread will not stick to the ball. Use some yarn and the duct tape to hang the ball on the ceiling. You may want to do this in a place that can get dirty. Because this project will get messy! 2. Get your yarn and put it trough the wallpaper glue. This is your fabric stiffener. I did a few meters every time so it will not become one big knot. 3. Wrap the tread around the ball. Make sure you leave a circle shape at the top. Cut out the round piece of metal on top of your rice paper lamp and put this on top of your yoga ball. This is the circle you need to leave open. If you want to you can draw around it with a sharpie. 4. When the thread is dry you can remove it from the ball. I waited a day before doing this. Just pull the plug of your yoga ball and let the air out. Remove the yoga ball and the household wrap plastic. Your rice paper lamp has now to pieces of metal. The round piece you just cut out and a larger piece that you normally would put between the top and the bottom of the lamp. Cut off the larger piece around an inch below the top on both sides. Put the pieces that you cut off between the little holes on the circle shaped piece and bend the metal so it will stay put. Use small pieces of thread to secure the circle to the thread ball.